Make this Gluten Free Raspberry Dessert! 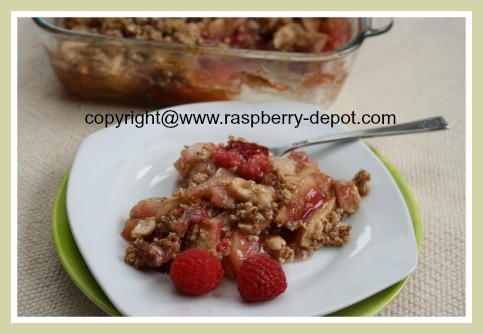 A Yummy Raspberry Apple Crumble that the whole family will love -- and they will never even guess that it's a wheat free raspberry dessert! 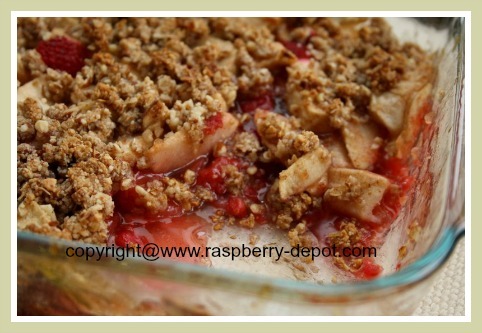 I made this warm raspberry and apple dessert, and the whole family loved it! You can easily substitute the raspberries with sliced strawberries, cranberries or blueberries is you prefer. In a large size bowl, whisk together the sugar, cinnamon and the cornstarch. Add the sliced apples and the raspberries. Toss the fruit to coat, being careful not to break up the raspberries too much. In a medium size bowl whisk together the oats, ground almonds (or almond flour), brown sugar and the cinnamon. Add the pieces of chilled butter. Using a pastry blender, a fork, or your fingers (! ), mix together the ingredients until the mixture resembles coarse crumbs. 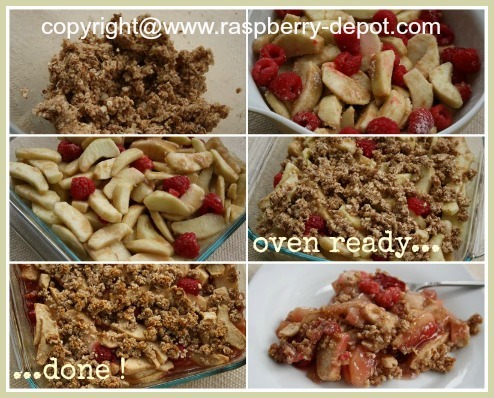 Transfer the apples and raspberries to an 8" square baking dish. Top with the crumble mixture. Bake in the oven on a rack in the lower third of the oven. 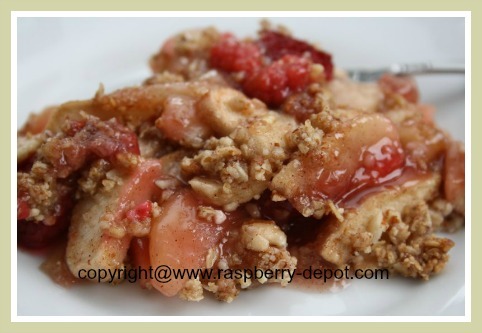 Bake at 375° F for about 30 - 40 minutes, or until the top of the crumble has browned in colour and the fruit juices have bubbled up. 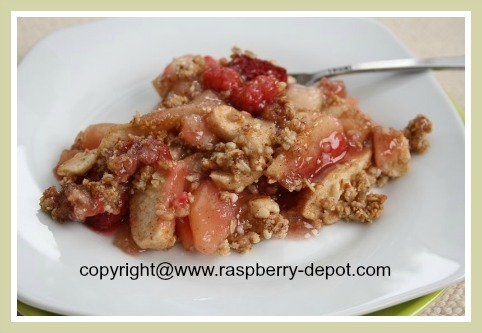 Cool crumble dessert at room temperature for about 10 minutes before serving. If desired, add or a dollop of (gluten free) Greek yogurt or a topping of your choice!